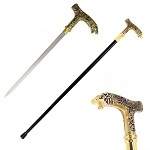 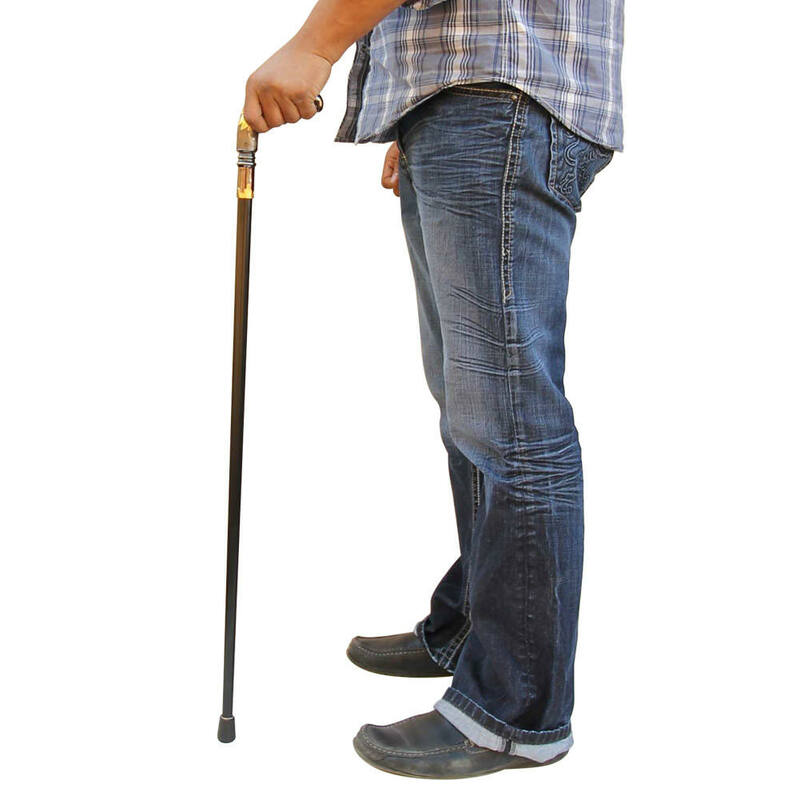 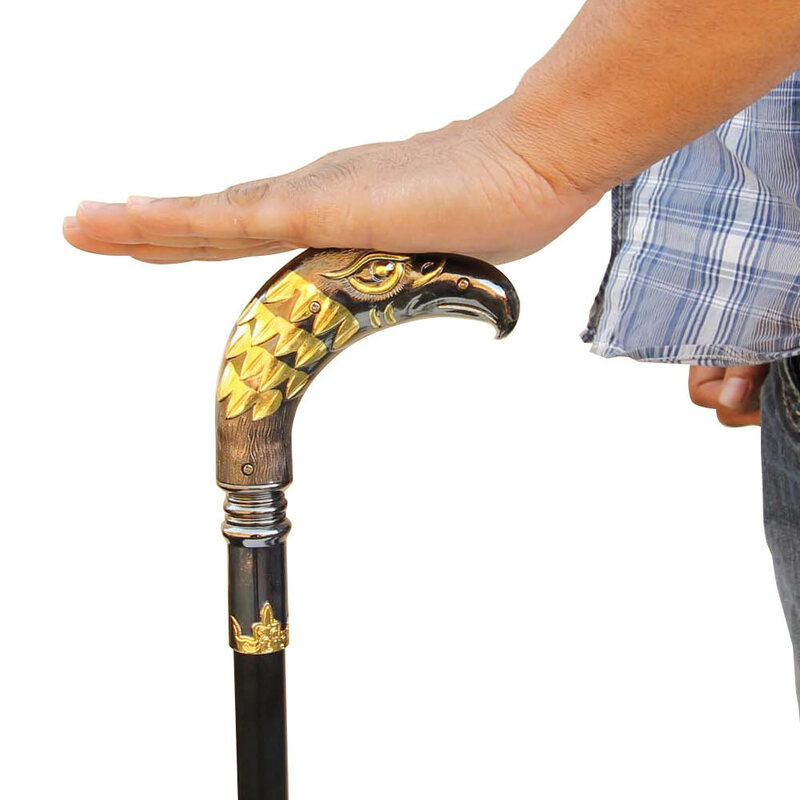 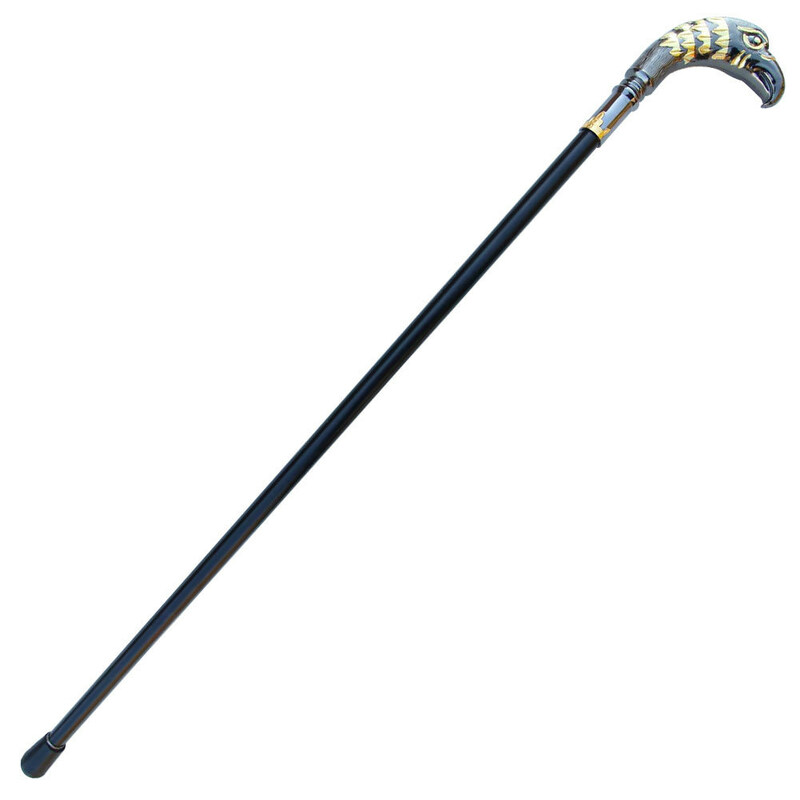 Eagle Tribute Custom Sword Cane. 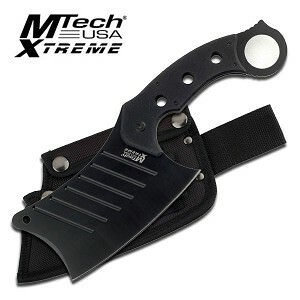 Measurements: 11 1/4 inches blade, 35.63 inches overall. 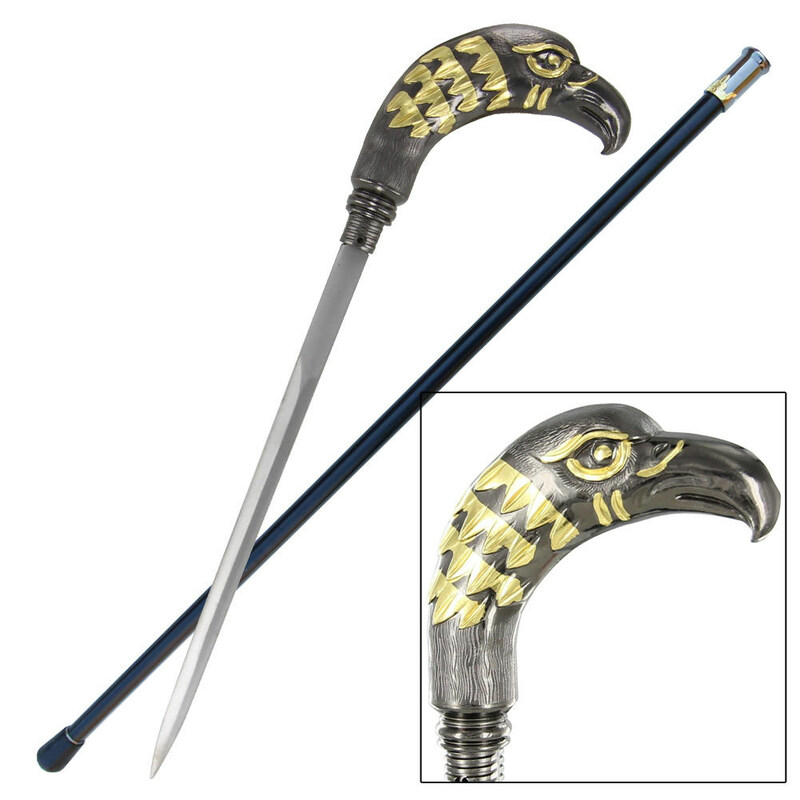 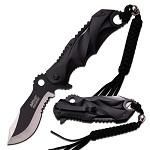 Hidden with the shaft of this eagle is a stainless steel blade that has been concealed for your protection. 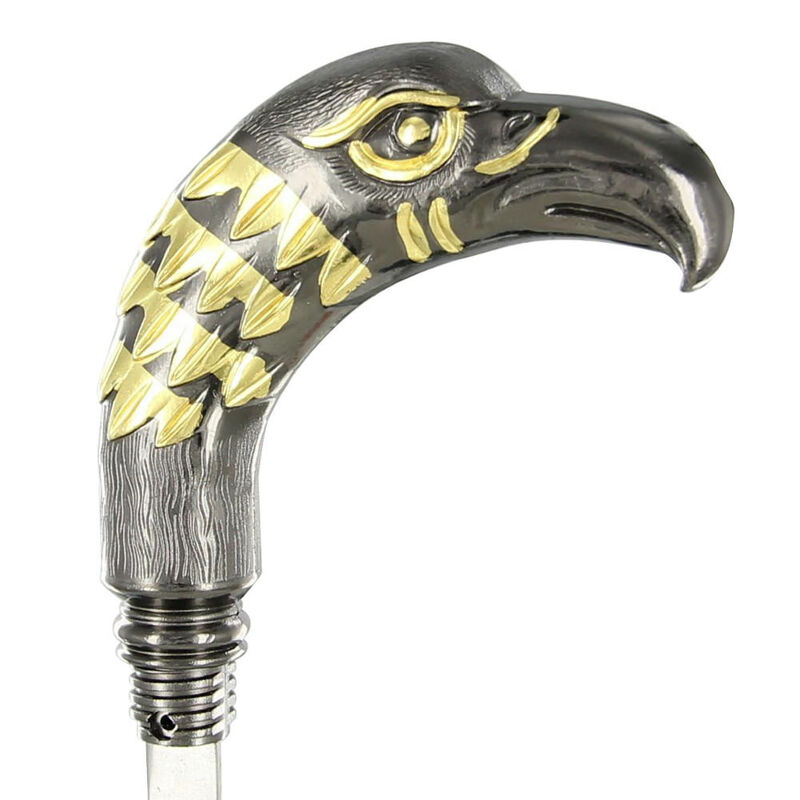 The handle is just a piece of art with all the intricate detailing. 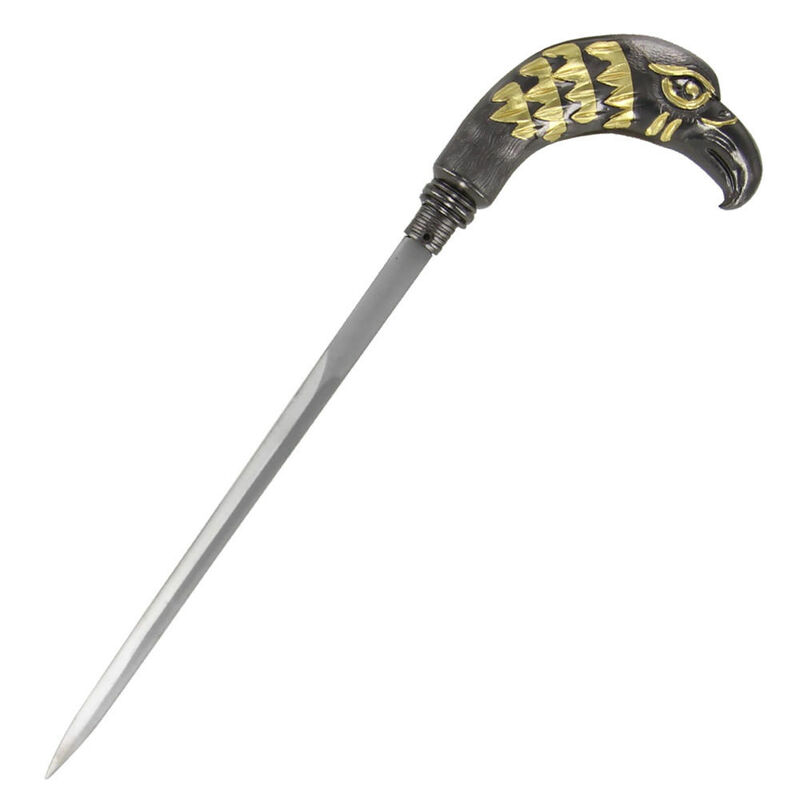 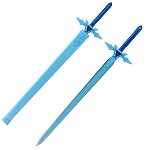 It is made from zinc aluminum with a metallic finish and golden accents. 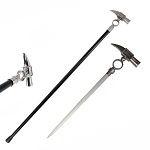 The black stainless steel shaft come in a matte black finish with a rubber stopper at the end.